St Seraphim Orthodox Youth Camp is an annual opportunity for children and young people to experience Orthodox community living and mutual service. Daily prayer underpins every aspect of camp life, from the very first day when the whole site and each camper is blessed to the last day of camp which ends with a service of thanksgiving. Every day begins and ends with prayers in the camp chapel and grace is sung before and after every meal. 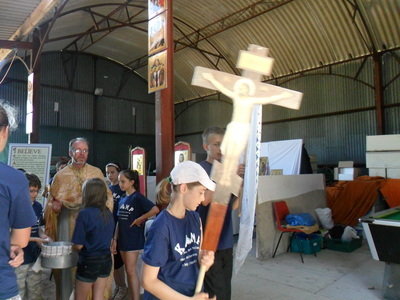 The campers keep to fasting rules on Wednesdays and Fridays in line with the normal practice of the Orthodox Church. There is a daily period of religious instruction for all campers; 'Sunday school' type lessons are taught to the the younger children, while Fr Stephen leads discussion on pertinent issues with the teenagers. 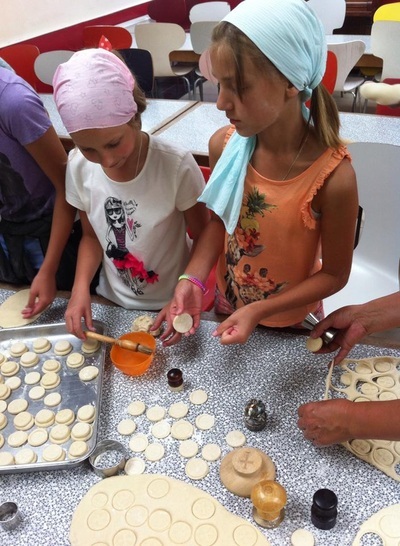 The campers are encouraged to participate in the service of the Church by singing in the choir, assisting the priest in the sanctuary, baking the prosphora and decorating the chapel for the feast. The Divine Liturgy is celebrated every Sunday during camp and on the camp's patronal feast of St Seraphim of Sarov (1st August). The feast is celebrated with great spiritual joy, and the campers enjoy a magnificent banquet afterwards. Often the camp is blessed by the visit of our diocesan hierarch. On such occasions, the whole camp enjoys welcoming the bishop with great solemnity. The campers are encouraged to participate in the Sacrament of Confession at least once during the course of the camp, and gentle guidance is offered to those who have not yet made their first confession. Fr Stephen is always available to listen, advise or simply talk to any camper who desires this.